The Egotist: Finding Yourself by Overcoming Self-Interest by Jesse Bogner, is the #1 best-selling Self-Help Spiritual Kindle title on Amazon. Jesse Bogner, a millennial who found purpose in life and wrote a book about it, is now a top 100 ranked author. Holding a mirror to the nature of the world and to his own life, Bogner illuminates the world in a state of crisis in need of redemption. 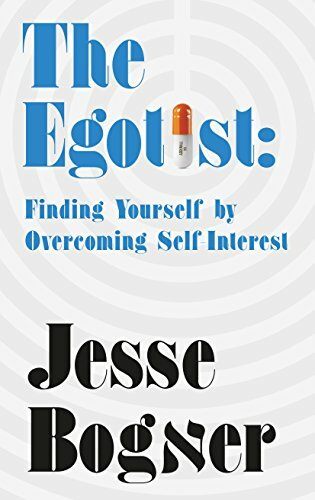 At a time when young people all over the world are searching for purpose and meaning, we are pleased to announce that The Egotist: Finding Yourself by Overcoming Self-Interest by Jesse Bogner (http://bit.ly/theegotistfindyourself), is the #1 best-selling Self-Help Spiritual Kindle title on Amazon. Jesse Bogner, a millennial who found purpose in life and wrote a book about it, is now a top 100 ranked author. Many young people are understanding the importance of finding purpose in today’s complex world. A prominent example is Justin Bieber, whose Purpose album broke records when it was released. This book will grab you. It will grab you in a place where a void is awaiting to be filled. Jesse lays the ground breaking truth of where he found this void in his own life and carefully explains what it is and how it can be filled. I felt this void become more clear while reading this book and it left me with more questions that boiled down to one question, "what's the meaning of my life?" If you have a searching heart but want to find a deeper truth that lies under this constant search, I implore you to dive into this book. It will open up a world beyond your wildest dreams if you search for the answer to this famous question,"What's the meaning of my life?"